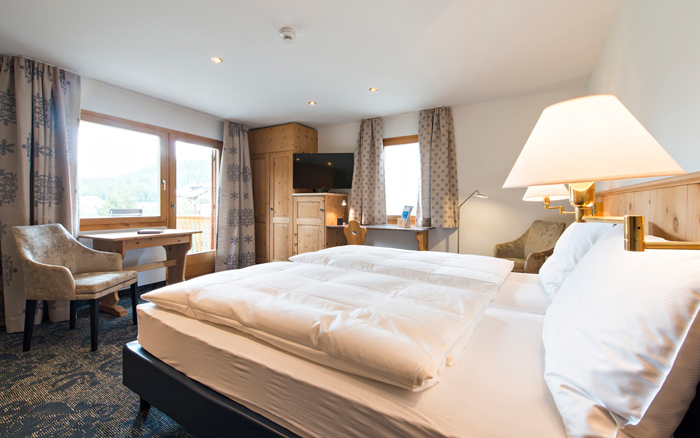 Book your holiday in the four-star Hotel Chesa Rosatsch directly from our website and take advantage of our best-price guarantee, a free parking space and 10 Rosatsch thalers for each night booked. From CHF 250, enjoy a modern standard hotel room with ensuite, free WiFi, a sumptuous breakfast buffet and coffee and sweets in the afternoon. 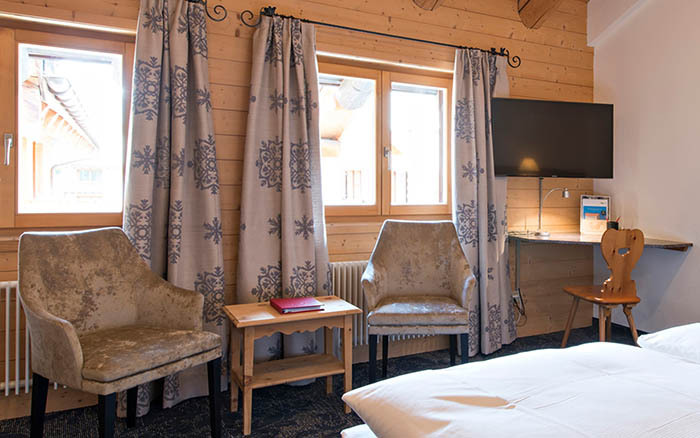 From CHF 290, enjoy a spacious superior room, including a private balcony depending on the location, a sumptuous breakfast buffet and coffee and sweets in the afternoon. 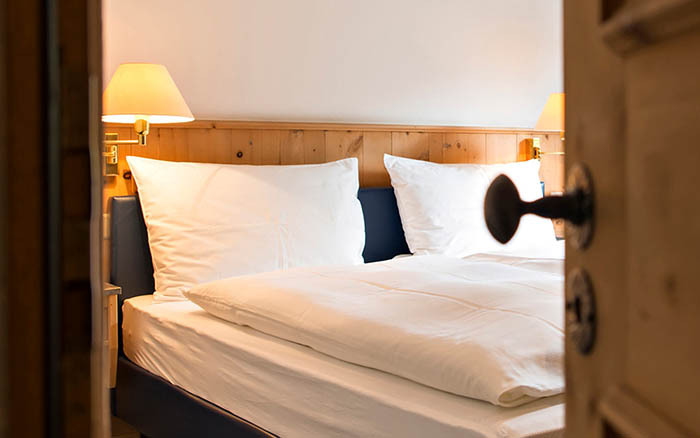 From CHF 310, enjoy a comfortable deluxe room with your own balcony or bay window depending on the location, a sumptuous breakfast buffet and coffee and sweets in the afternoon. 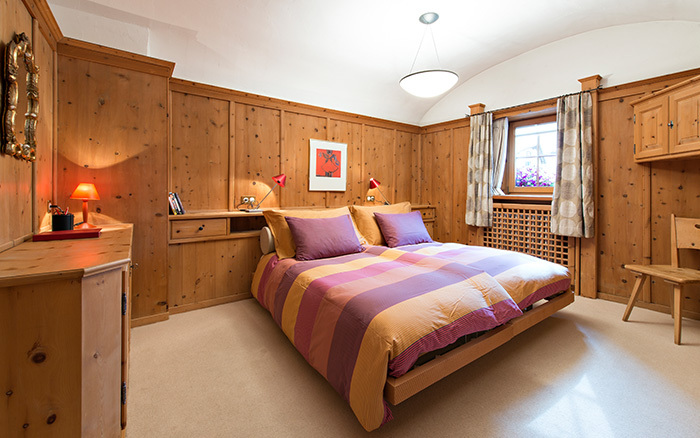 From CHF 390, enjoy a luxurious duplex suite with a separate bedroom and living room, a sumptuous breakfast buffet and coffee and sweets in the afternoon. 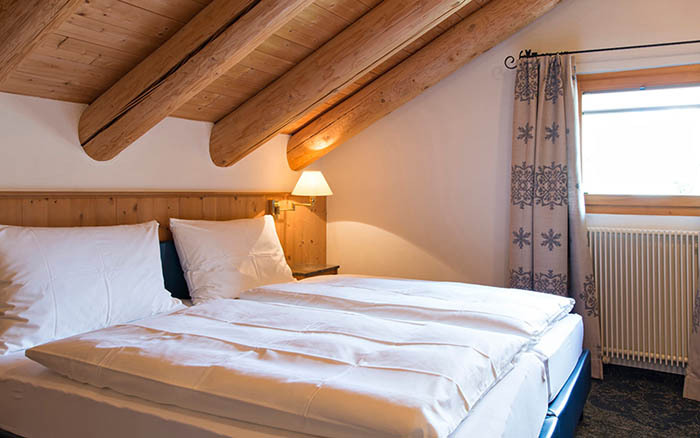 From CHF 520, enjoy a romantic Engadine suite with a special Engiadine-suite service, a sumptuous breakfast buffet and coffee and sweets in the afternoon. 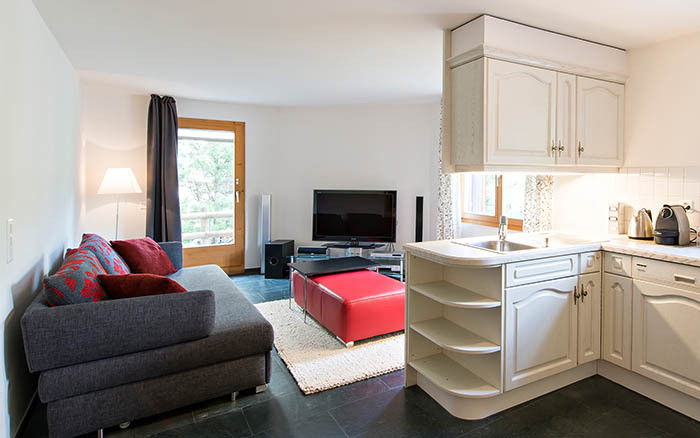 From CHF 660, enjoy your very own apartment with a view over the Inn, a sumptuous breakfast buffet and coffee and sweets in the afternoon.